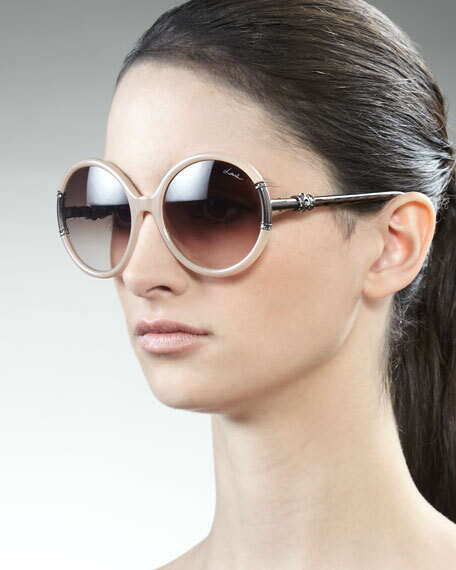 Mod makes a comeback with these perfectly round Lanvin sunglasses. Finish your vacation-ready look with a floppy straw hat and billow paisley-print caftan. Logo script detail at upper left corner.